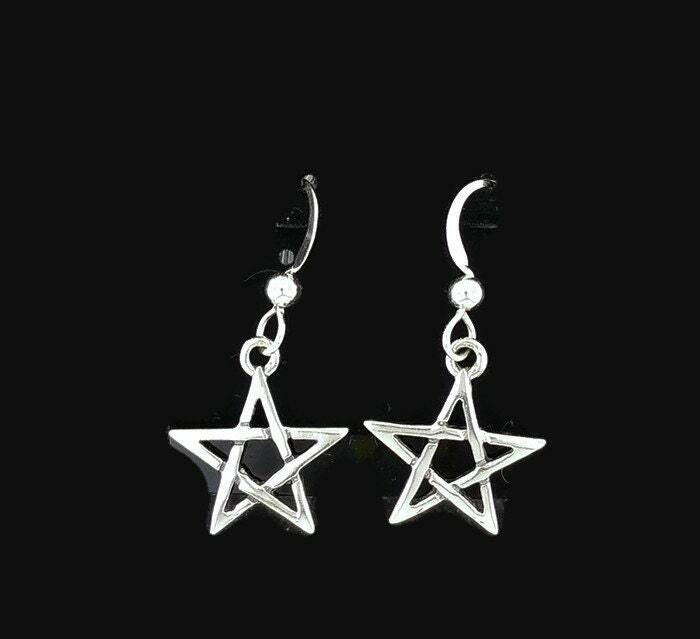 These are a pair of handmade sterling silver star earrings. The stars are 1.5 cm wide and hang from sterling silver ear hooks. Perfect for every day wear.